First log into facebook and access your business page. Go to your page’s insights data/overview and click export data. Then to find your number of Daily Unlikes, select a date range of 1-3 months to get a decent sample size. 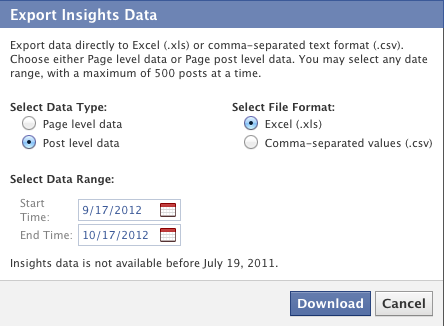 When you click “Download” to export your “Facebook Insights Data” into Excel, you’ll find a column that says, “Daily Unlikes: The number of Unlikes of your Page (Unique Users).” Highlight this column and add an “average” function at the bottom. Do this by selecting Insert > Function > Average and you’ll see your average number of Daily Unlikes for those 1-3 months you selected. 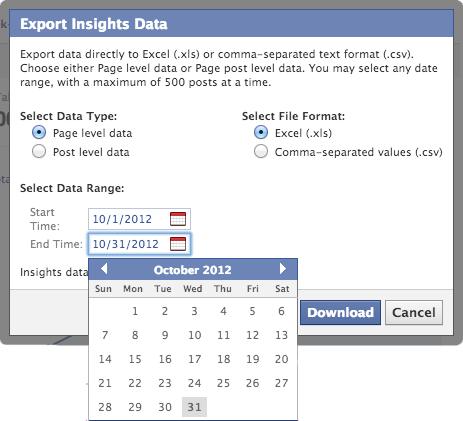 To get a true average, export your Facebook Insights data, clicking "Post level data" instead of "Page level data" and select a date range of 1-3 months to get a decent sample size. 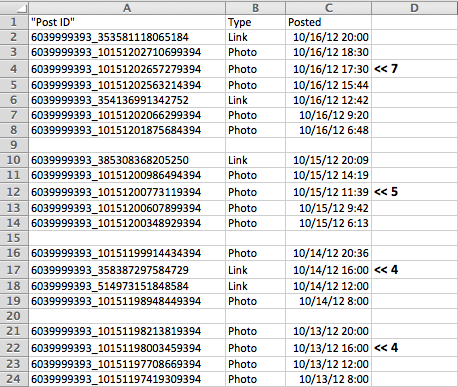 Once your data is exported, you will find a column that says "Posted" with dates of all your company's Facebook posts. Section off each day, tally how many posts you had per day, and take an average of these tallied numbers using the function tool. To find your average clicks per post, you need to go into your Facebook Insights and export 'Post Level Data' over a given 1-3 month period to get an accurate average. Once you export this data, search for a column titled "Lifetime Post Consumptions" with an explanation of "Lifetime The number of clicks anywhere in your post. 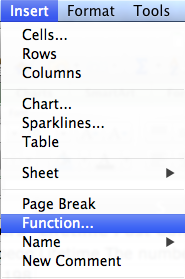 Clicks generating stories are included in "Other Clicks." (Total Count)." 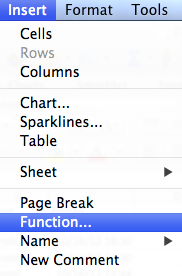 Highlight this column and take an average by clicking Insert > Function > Average. This will be your average number of clicks per post. There are a couple different ways you can find your conversion rate. One way, if you use HubSpot's software, is to go into Sources and see your visits, contacts, and conversion rates by channel. For this scenario, Facebook has a conversion rate of 8.7%. When you first set up your equation, you'll notice your conversion rate will be in a decimal format instead of a percentage. 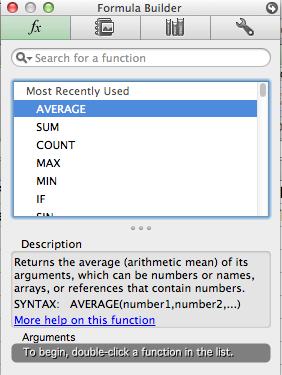 To switch this to a percentage, you simply look below your navigation bar in the middle where it says, "Number." 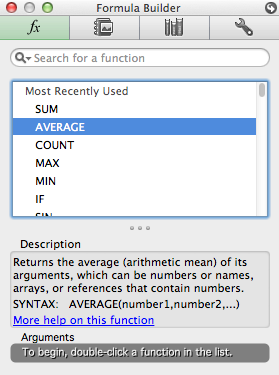 In this section, you can click the % symbol and your decimal will turn into a percentage for you. The Conversion Value of your Facebook efforts can vary by industry and campaign. The best way to estimate this value is to combine all costs of your Facebook marketing efforts over a period of one month. This includes money spent on the Facebook advertising platform, the cost of your marketing team that works on the Facebook account, and any cost associated with the content you post on Facebook (images, videos, etc). How many leads or contacts did you generate from Facebook over that given month? You can find this number by going into HubSpot’s Sources > Social Media and seeing the number of contacts generated on Facebook over a given month (see image below). 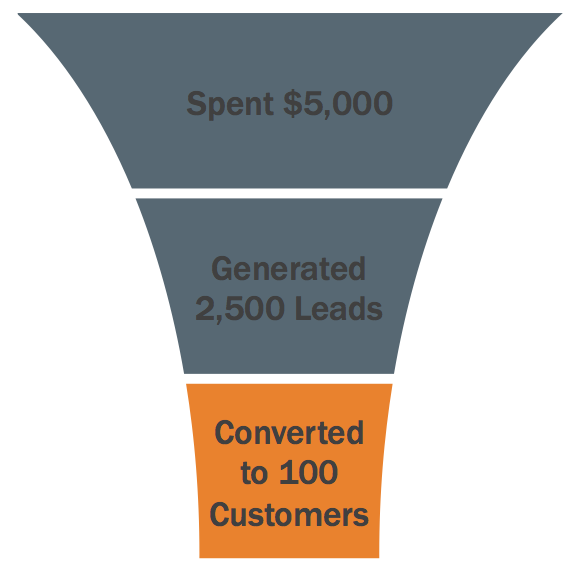 How many customers did you generate from those leads or contacts? You can find this number by going into HubSpot's Sources > Social Media as well and looking at your number of customers generated per channel over a given month (see image below). How many people "Like" your company's Facebook page? How many people "Unlike" your page each day? How many times a day do you post to Facebook? 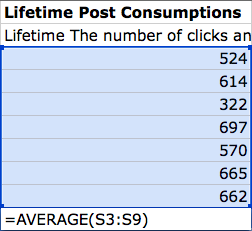 On average, how many clicks are your Facebook posts receiving? What is your site's conversion (visit-to-lead or visit-to-sale) rate? What is your average conversion value? Our Recommendation: Social media effectiveness shouldn't rely on luck. Learn the Science of Social Media Marketing with our free webinar. Our Recommendation: You should work on improving your conversion rate, learn how in the Optimizing Landing Pages for Conversion ebook. Our Recommendation: You should work on getting more likes, learn how in the Science of Facebook webinar.